The research will be conducted using a process-based global land surface model, Integrated Science Assessment Model (ISAM), coupled with a regional climate model. The research tasks will involve enhancing and refining a coupled modeling system to improve its ability in these two areas of research using approaches which can be validated against available measured datasets at regional and global scales. We seek candidates with a Ph.D. in earth system science, climate science, or other related fields in the sciences or engineering with a working knowledge of one of the following models: land surface model, crop growth model, methane biogeochemistry model, regional climate model or similar complex models. A working experience in FORTRAN is a must. Demonstrated ability to produce quality research outputs, excellent oral and verbal communication skills and an interest in working with researchers from other related fields will be among the selection criteria. The initial term will be for two years with the strong potential for renewal based on performance and available funding. 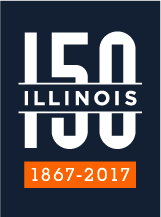 Applicants should send the following materials by email to Prof. Atul Jain at jain1@illinois.edu: (1) a cover letter describing research interest and experience, (2) curriculum vita, and (3) names and contact information for three references. The salary is commensurate with experience. For full consideration, applications must be received by March 9, 2018.